First of All Download Vipswallet App From Playstore. 5. Once Your Profile is credited You are Now Ready. First Go to Invite & earn Section. Now Share This App With Your Friends. 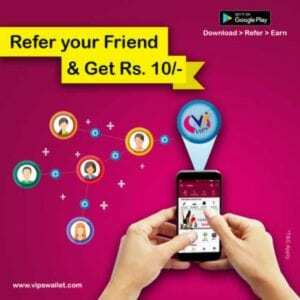 Ask Your Friends to Use Your Mobile as Referral Code. Now You will Get Rs.10 In Wallet.